I purchased this after borrowing a neighbor’s corded die grinder. This is very well balanced with a 5ahr battery. The light is excellent for seeing the workpiece, and the variable speed provides very good control. I am especially impressed how small the nose is for working in tight areas. This tool has a lot of power, it can turn a large grinding head on a very low speed. The led light is very useful. 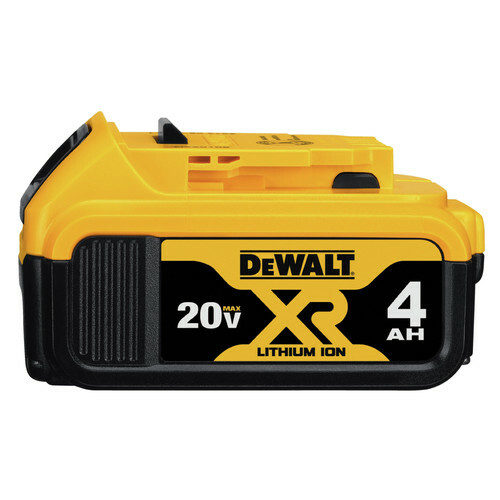 Another great Dewalt 20v tool. As with all of my Dewalt 20v tools, this die grinder is very well made and designed. Easy to use and the variable speed switch is great ! It is so nice to have a die grinder that is NOT an air tool!! It is so powerful. The 3 speed switch is very useful and with variable speed I can slow it right down for delicate work. Is it an inversed image?